Preheat oven to 220°C. 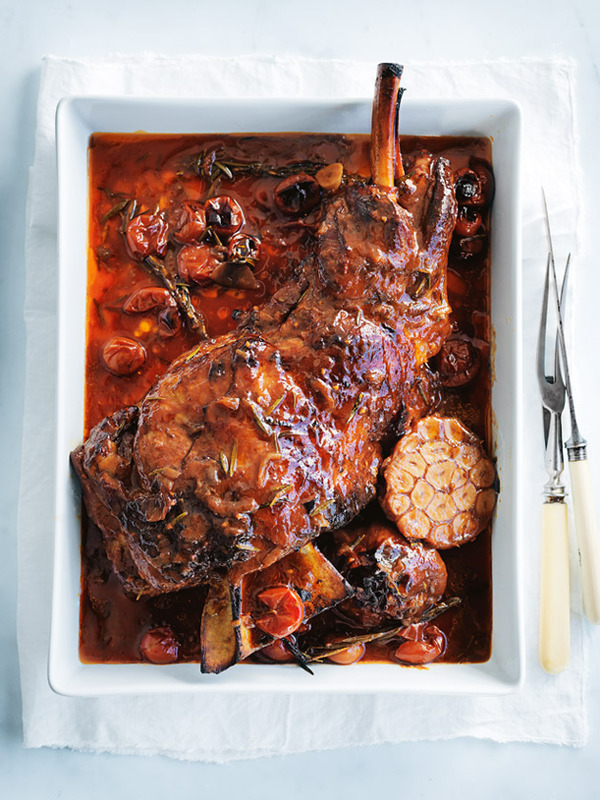 Place the wine, tomatoes, caramelised onion, garlic and rosemary in a deep-sided large roasting pan and mix to combine. Place the lamb on top of the tomato mixture, drizzle with the oil and sprinkle with salt and pepper. Cover tightly with aluminum foil and cook for 2½ hours. + Serve the lamb with creamy polenta, roasted potatoes or shredded and stirred through pasta. What a fab recipe. Was truly delicious and loved by the whole family.